Operate has the ability to output a CSV file to an agreed FTP location. This can then be imported into Bluebox. This makes it possible to pass invoice information from Operate to Bluebox. Once you have completed the bill run and consolidated all of the non-recurring charges for items such as meeting rooms and call charges, you can then export these charges. Then click on Post to Bluebox. 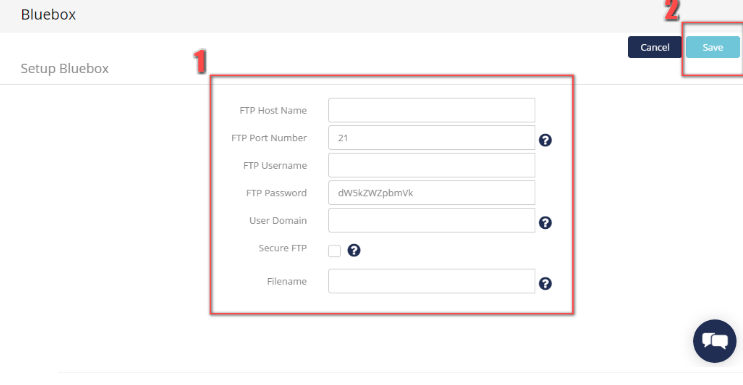 If this is the first time you are doing the export, you will be prompted to enter the FTP location details to which you would like to export the transactions. Once you have posted the transactions to Bluebox an event log will be created. This will capture who has carried out the export and also the date and time at which it occurred.